Posted on June 6, 2018 by Matthew Leib. This entry was posted in Engaging Interests, Volunteerism and tagged engaging interests, volunteerism. Bookmark the permalink. Looking to get your hands dirty with a fun team bonding activity for this summer’s Raise the Bar challenge? Look no farther than UW Bothell’s campus garden. Located in the space adjacent to the sports fields and immediately south of the north parking garage, the UW Bothell campus garden provides an outdoor learning space designed to engage the broader campus community in experiential learning and best practices surrounding sustainable land use and food production. “It’s like a workshop or a studio where people can just come together and casually share information,” says grounds supervisor Tyson Kemper. After several years of planning and advocating, the garden received Chancellor approval in June 2016 and ground was broken in October of that year. Beds were installed in time for Earth Day last year and the first season of vegetables were planted later that month. The garden has been growing ever since. Managed by a committee of students, faculty, and staff, the space is also home to three garden beds (including an ADA accessible bed), a vermicompost bin, and yard waste hot compost from campus grounds operations. There are also several pollinator beds at along the periphery of the garden that attract insects necessary for the garden to thrive. The garden grows tomatoes, peppers, lettuce, potatoes, carrots, cucumbers, strawberries, corn, beets, radishes, leeks, and kale, among other produce. 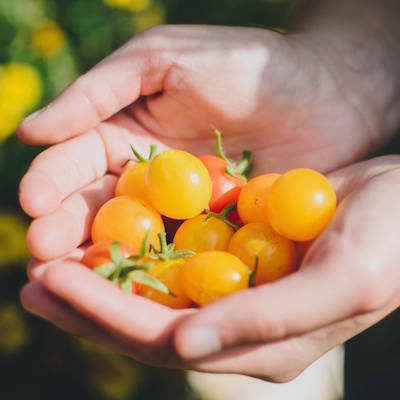 The next step, according to UW Bothell campus sustainability coordinator Alexa Russo, is for the garden to get Good Agricultural Practices (GAP) certified. Fresh produce gives way to fresh learning outcomes as well. Various classes incorporate hands-on research and experimentation at the garden site throughout the academic year. 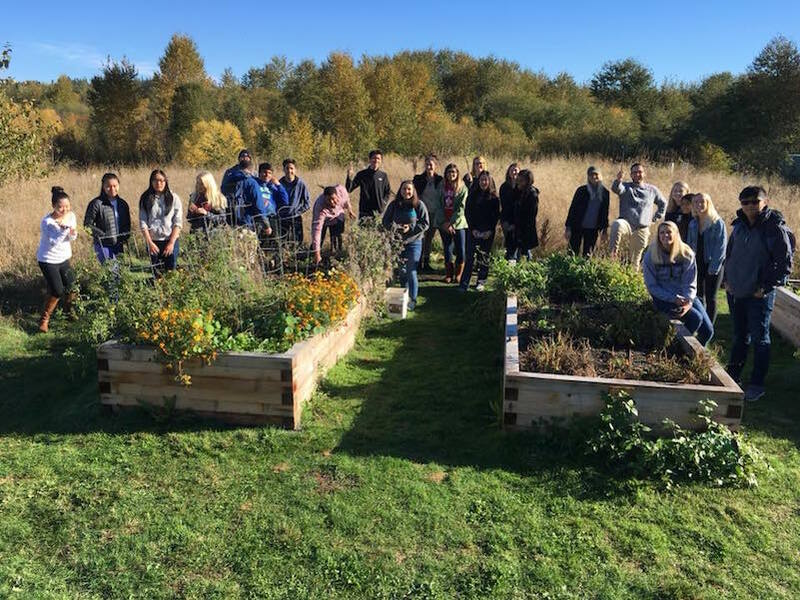 Past garden projects and activities have included a Garden Innovation Challenge part of the UW Bothell Hackathon, garden space soil analysis for a IAS Soils Class, and a Pollinator Class Pollinator Garden Installation. “There’s always that opportunity for faculty to use [the garden] strictly as a teaching tool for specific curricular goals, but also, more casually, it’s a space where they can meet with students, have office hours, just share their own knowledge,” says Kemper. In addition to coursework, students, staff, and faculty can get involved through work parties or weekly informal garden interest meet ups where garden committee members and others work on garden maintenance such as watering, weeding, harvesting, and planting, or other creative projects for the garden site. At present, the garden hosts work parties every other Friday, beginning at noon and ending around 2 p.m.
“I like to think that overtime, we can change the way people see the world and reframe the way they see green plants,” Kemper says of his hopes for the site. 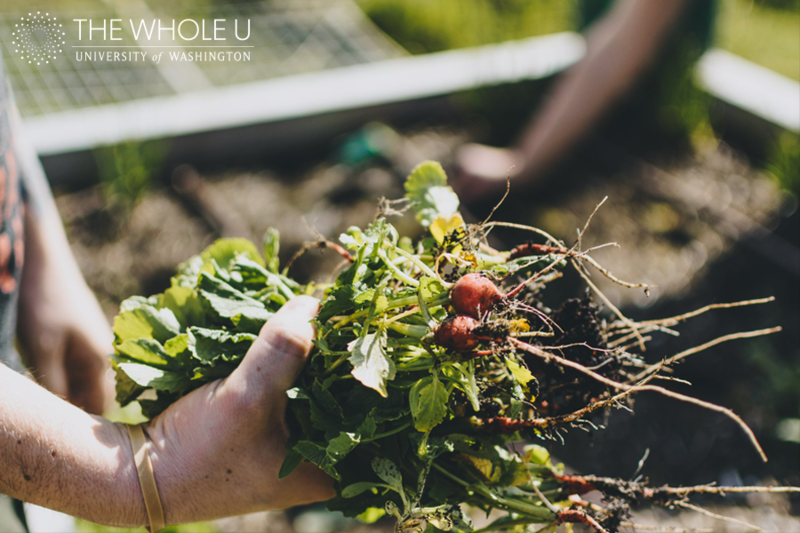 The best way to get involved with the garden is to contact the committee and ask about the most current happenings in the garden: email uwbgrow@uw.edu! You can also follow along on Facebook, Instagram, or subscribe to the Mailman List.